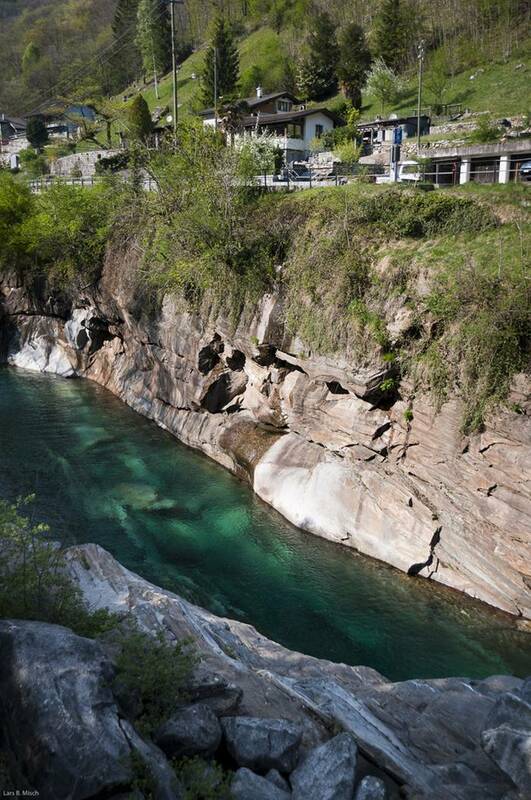 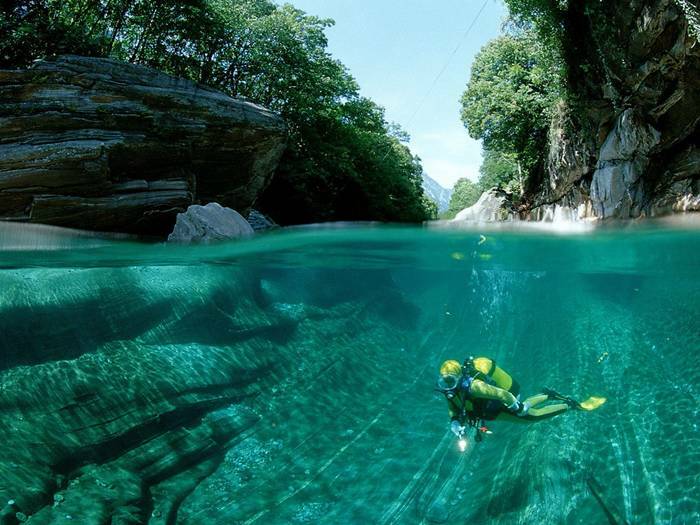 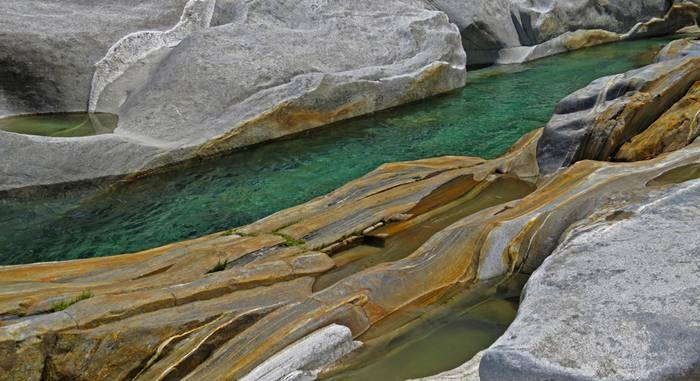 The Verzasca River, in Switzerland, is known all over the world for its clear, turquoise waters. 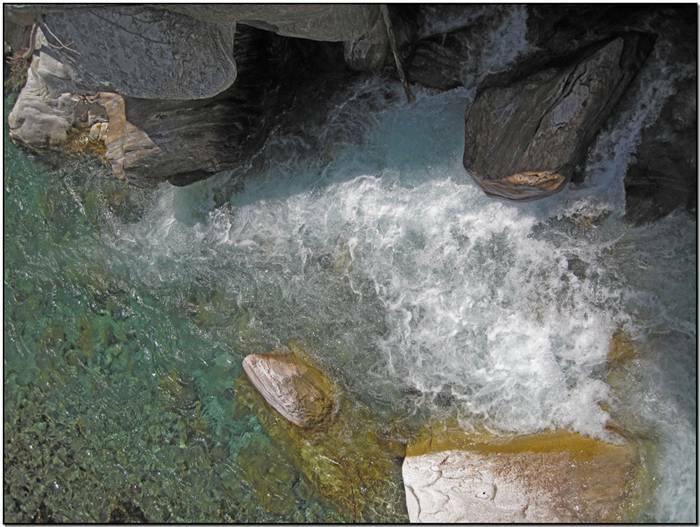 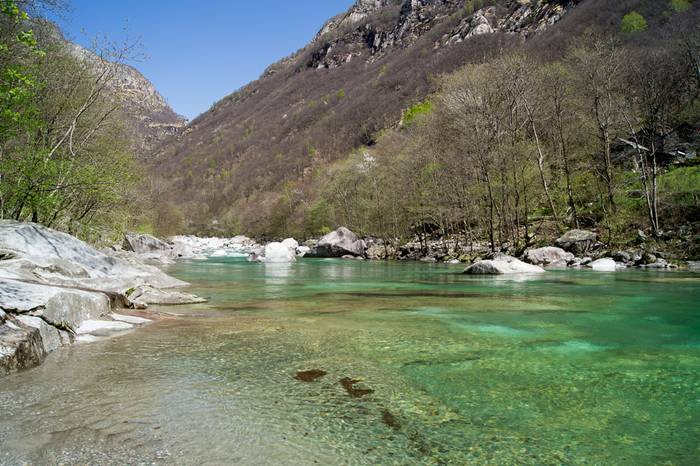 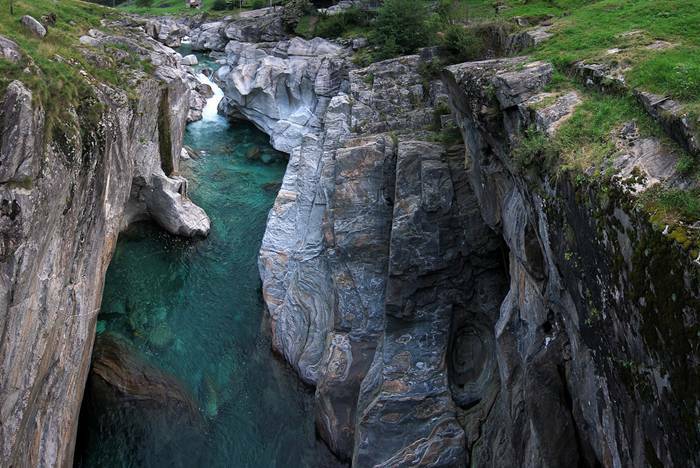 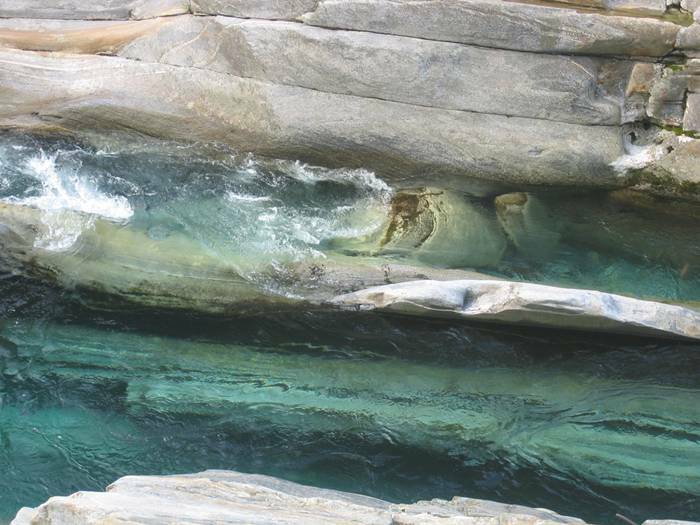 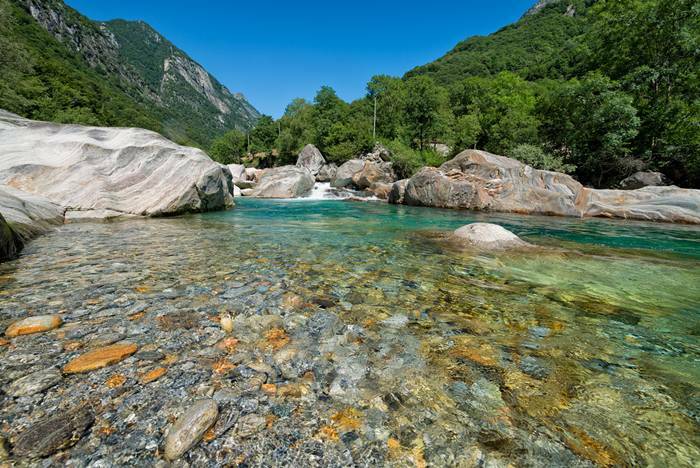 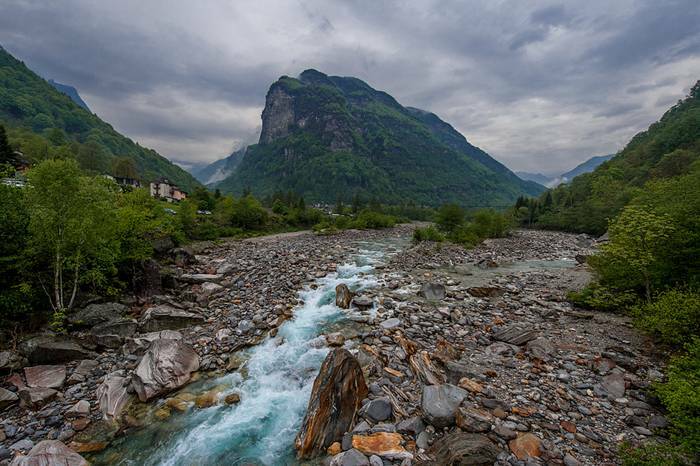 The 30-km-long Verzasca mountain river originates at Pizzo Barone and flows into Lake Maggiore, in Italy. 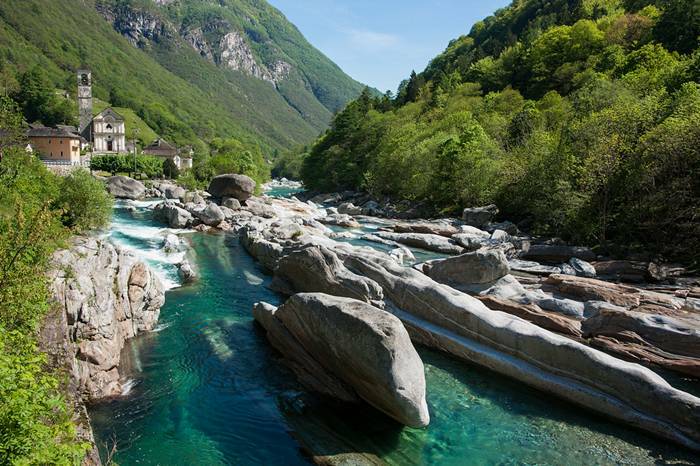 The river valley is located in the Italian-speaking region of Switzerland and is a popular tourist destination. 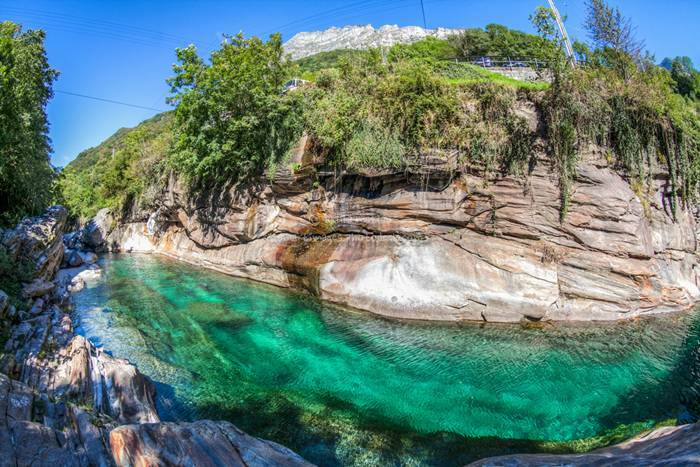 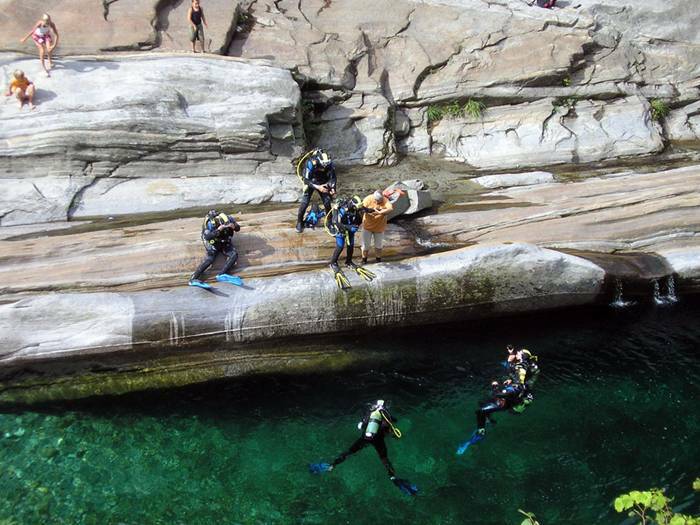 People come from all around the globe to see the turquoise waters of Verzasca, do scuba-diving and admire its vibrant colored rocks. 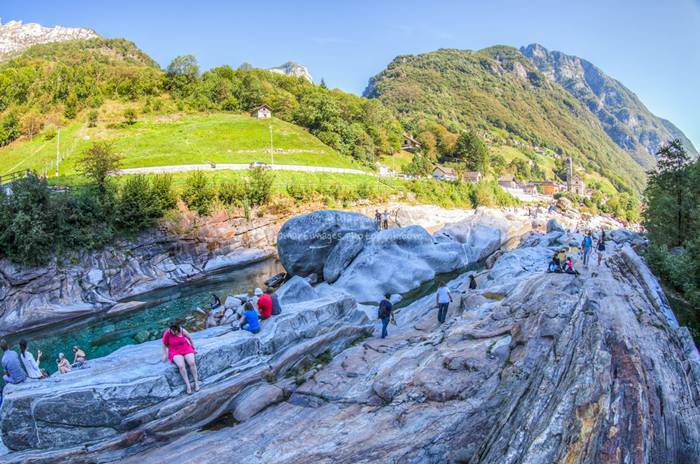 Most of them prefer to take photos of Verzasca from the mountains that surround it or from the many bridges built over it. 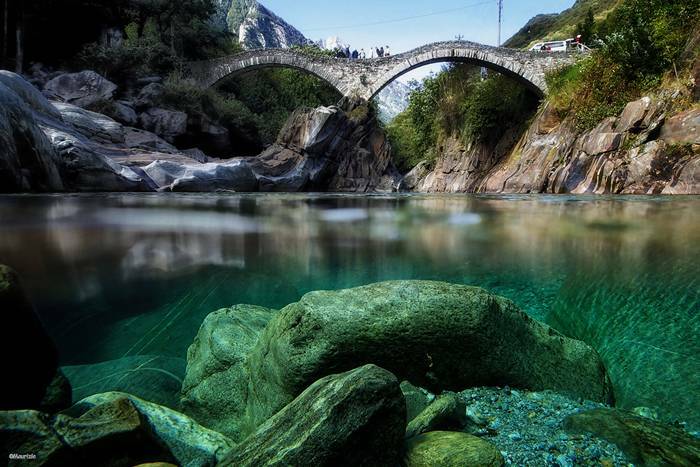 But photographer Claudio Gazzaroli wanted to offer a different perspective on this unique wonder of nature. 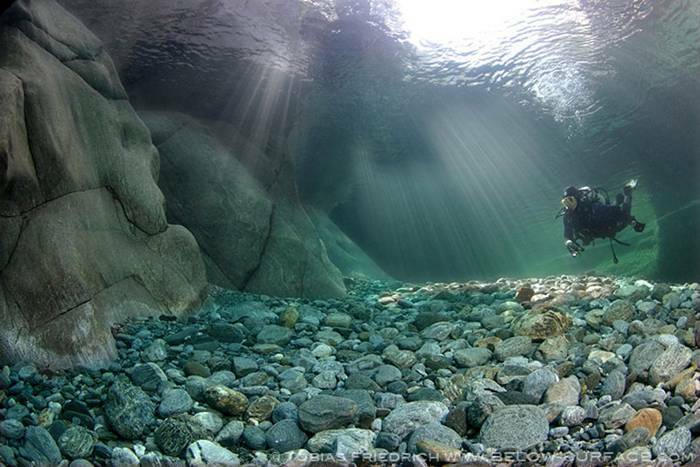 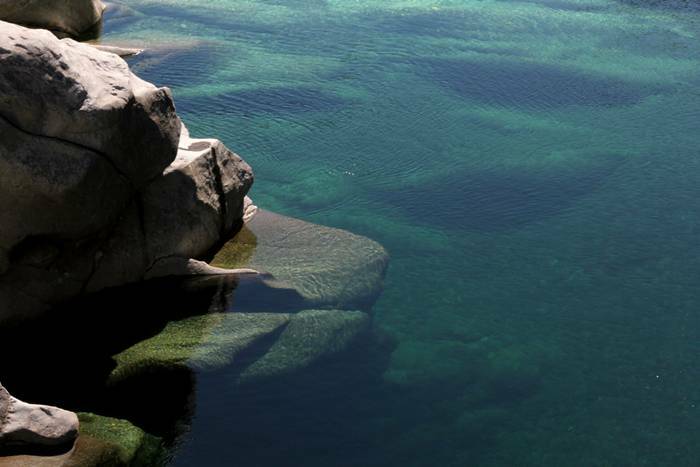 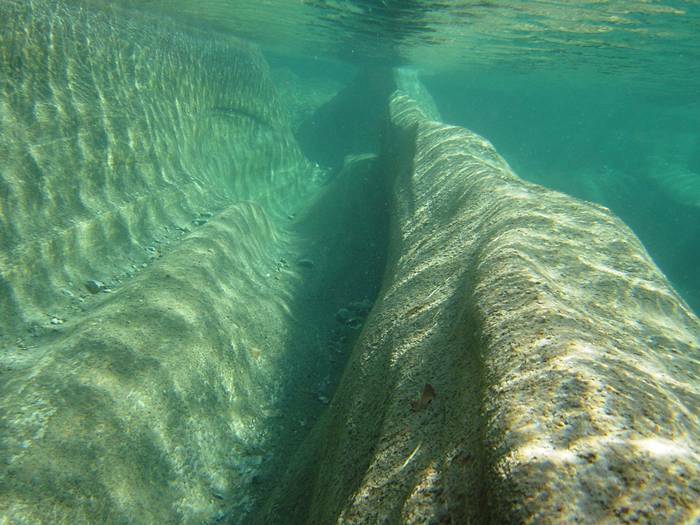 He dived town 50 feet to the bottom of Verzasca and managed to capture the almost unearthly clarity of its waters. 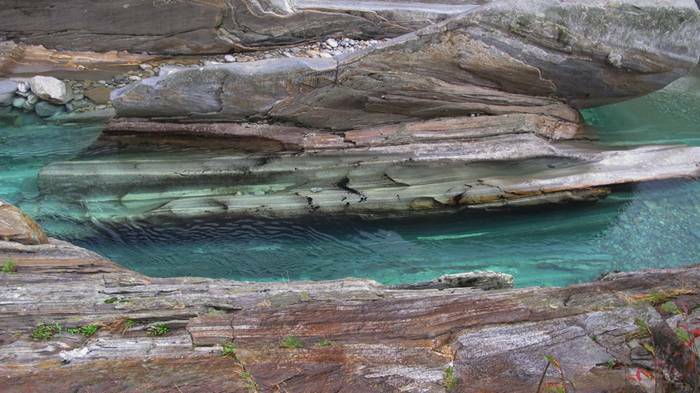 ‘I wanted to show the beauty of this place in a new way,’ Gazzaroli said. 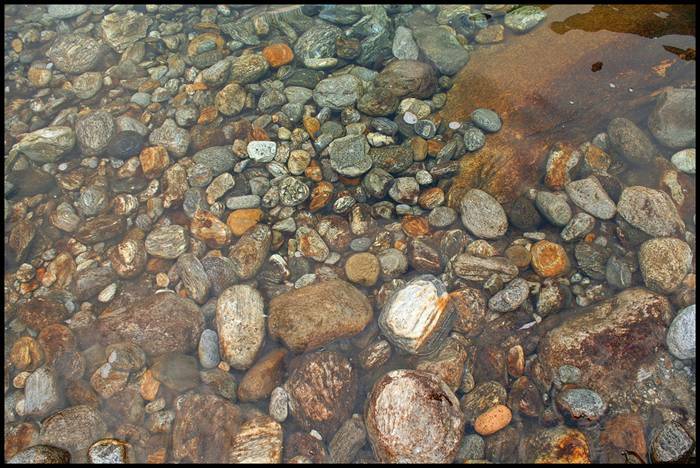 Looking at his work, one wonders why wee need software like Photoshop when Mother Nature seems to do thing better herself.